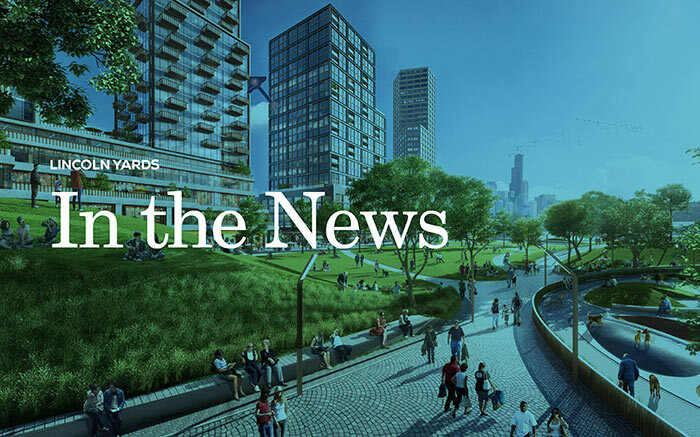 Welcome to Lincoln Yards, a vibrant new development that will connect Chicagoans to over 50 acres of riverfront sitting between some of the city’s most iconic neighborhoods: Bucktown, Wicker Park and Lincoln Park. 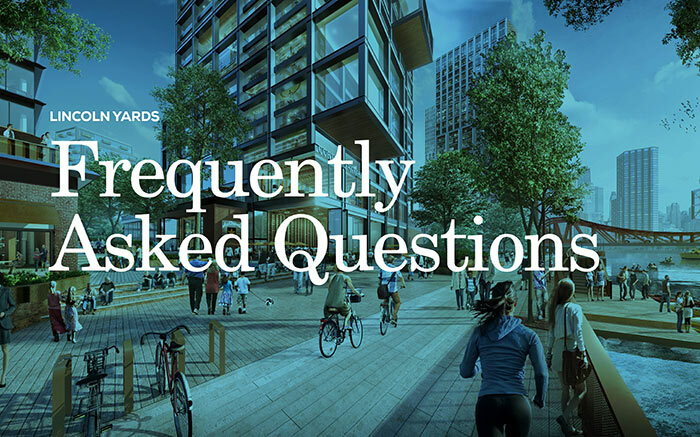 The development of Lincoln Yards presents a defining moment for Chicago to improve a vast, underutilized parcel of land to benefit residents, businesses and visitors. 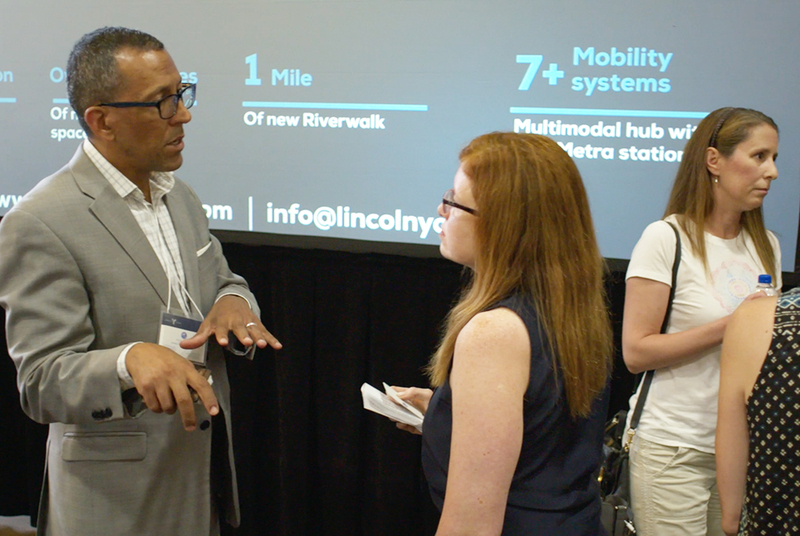 Learn more about where Chicago connects and become a part of redefining the urban experience at Lincoln Yards. To breathe fresh life into a former industrial site in Chicago's North Branch Corridor. Bringing new and improved infrastructure and transportation, businesses and residences, parks and open spaces, and other amenities to create a vibrant, mixed-use community where Chicago can connect — building on the past to strengthen our future. Creating the connections that will generate greater opportunity and growth. 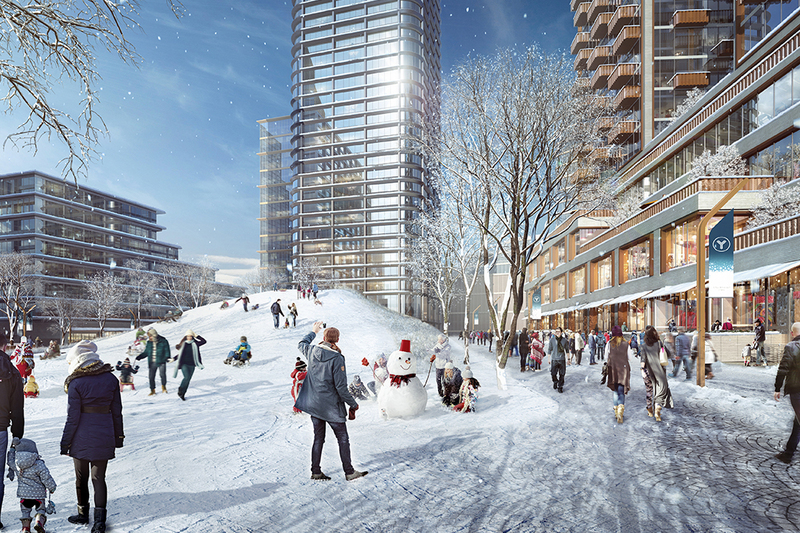 This is the vision for Lincoln Yards. 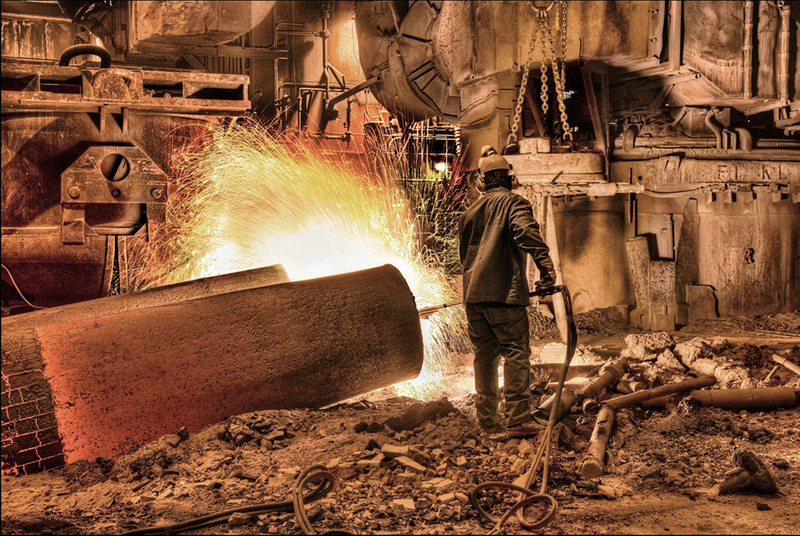 The City of Chicago implemented its first Planned Manufacturing District (PMD) to allow for protected manufacturing zoning within the city limits. From 1988 – 2013, the PMD existed as the residential neighborhoods around it flourished. Families moved in and communities thrived – amenities, open space and retail became abundant. 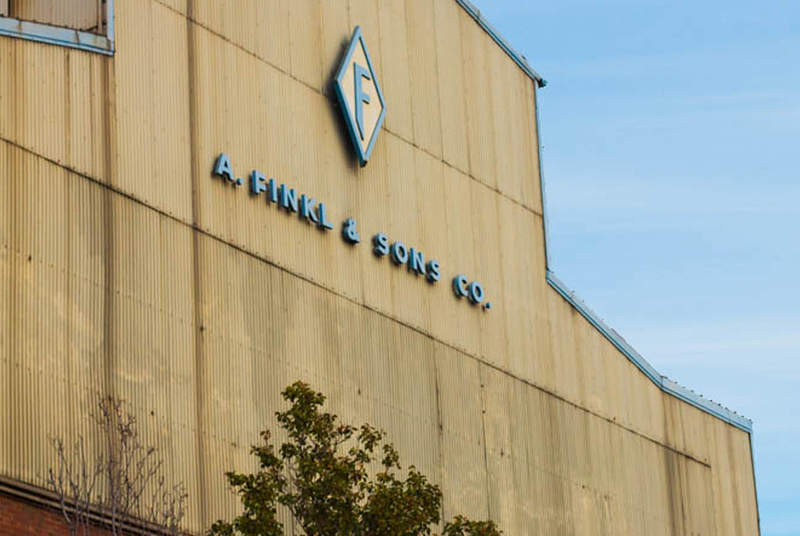 After 112 years in Lincoln Park, citing a lack of storage space, poor electrical access, and a changed neighborhood no longer suited to heavy industry, Finkl Steel moved out of the Clybourn Corridor PMD, razed their buildings, and put the land up for sale. 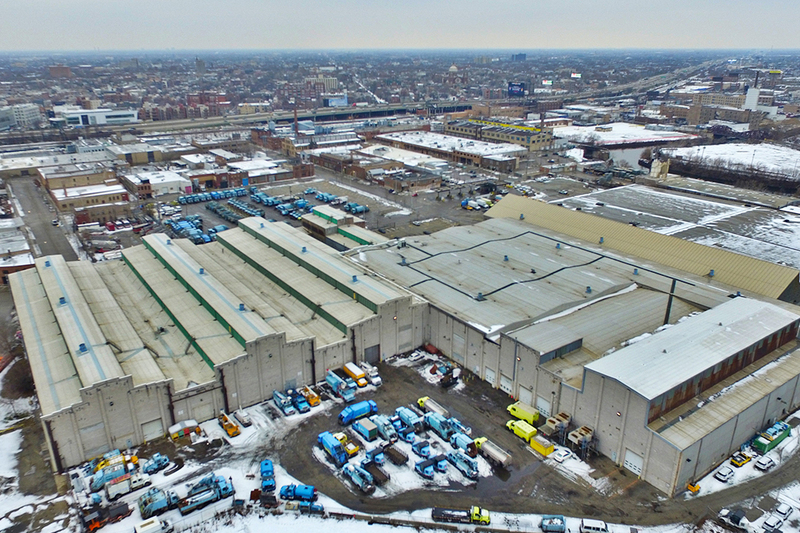 Sterling Bay began acquiring well-located industrial sites in the PMD which it believed were underutilized, undervalued and positioned for redevelopment. Lone Star Funds validated the investment strategy and partnered with Sterling Bay. 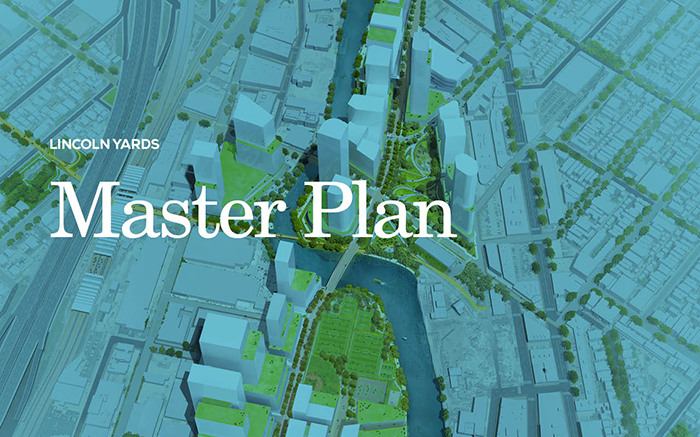 The City of Chicago changed the zoning and repealed the Planned Manufacturing District (PMD). As a result, a broad array of commercial and residential uses became permitted. 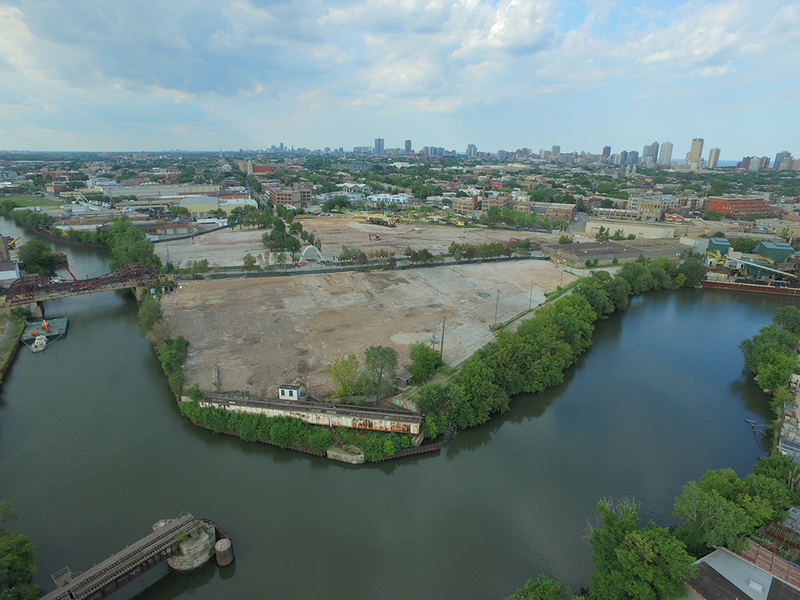 Sterling Bay purchased the former Fleet and Facility Management site along the river, adding 18 acres to its land assemblage. J.P. Morgan further validated Sterling Bay’s investment in Lincoln Yards by partnering with Sterling Bay on Lincoln Yards South. 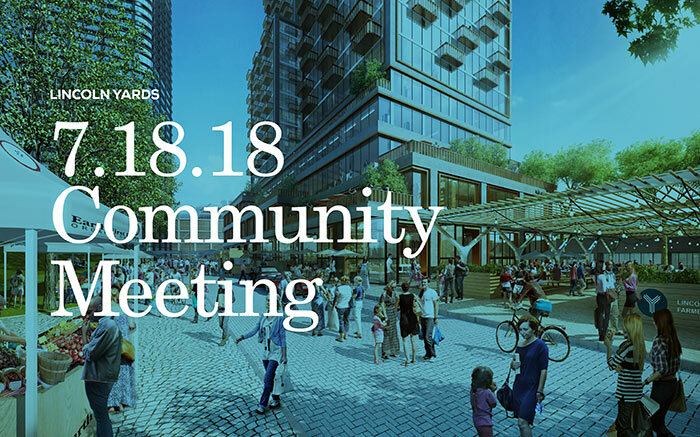 In a community meeting hosted by Alderman Brian Hopkins, Sterling Bay unveiled its initial vision for Lincoln Yards, a once-in-a-lifetime opportunity to transform the former manufacturing site into a new urban destination. 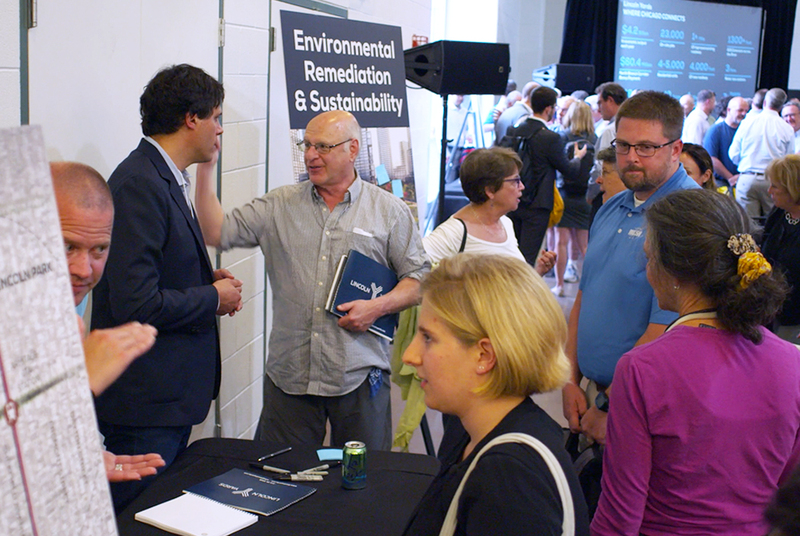 Sterling Bay continued its outreach efforts, meeting with dozens of local community groups and residents to hear their feedback, have thoughtful conversations and receive helpful input on the plans for Lincoln Yards. 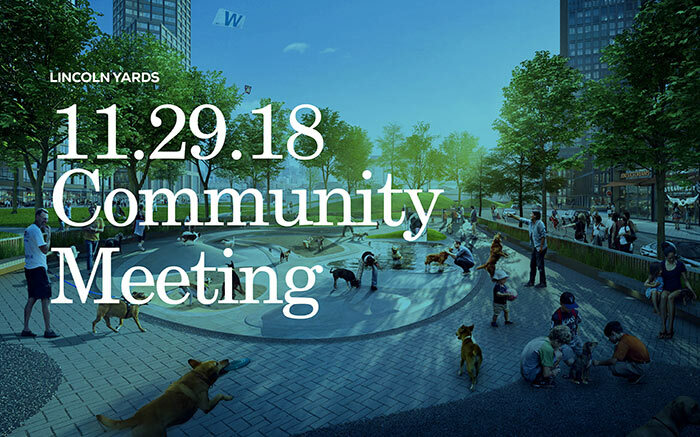 Sterling Bay met again with community members and local neighbors to present updated and revised plans for Lincoln Yards. Lincoln Yards is centrally located within the northside of Chicago along the North Branch of the Chicago River. 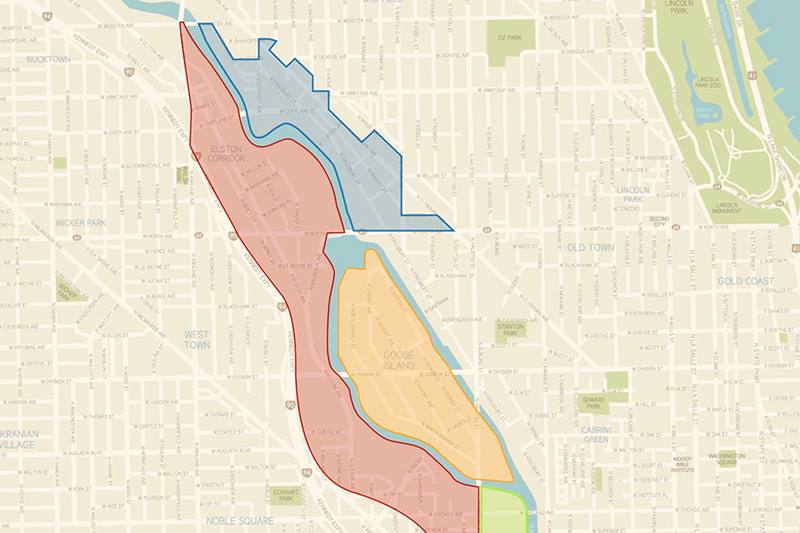 Specifically, Lincoln Yards is bounded by the Kennedy Expressway to the west; Webster Avenue to the north; Clybourn Avenue to the east; and North Avenue to the south. The area is in close proximity to all major modes of transportation in Chicago including Metra commuter trains, CTA ‘L’ stations and bus stops, I-90/I-94, water taxi transportation and the 606 bike trail. Sterling Bay is a leader in identifying and creating urban development opportunities. We believe in developing both properties and relationships—and in doing so—we transform spaces, businesses and communities. 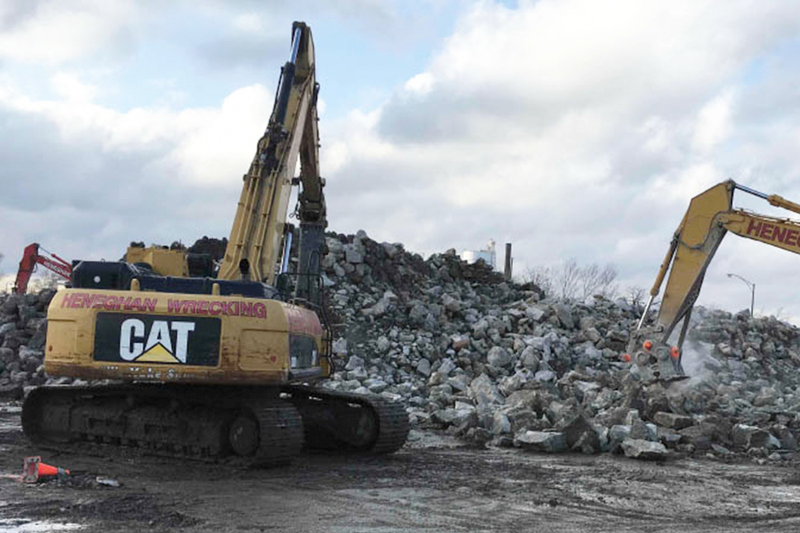 By operating in a fair and transparent manner for over thirty years, we have earned the trust of businesses, civic stakeholders and neighbors alike who have placed their confidence in Sterling Bay’s ability to deliver unprecedented projects. Our recent developments include headquarter space for companies such as Google, McDonald’s, Uber, Hillshire Brands and Gogo. 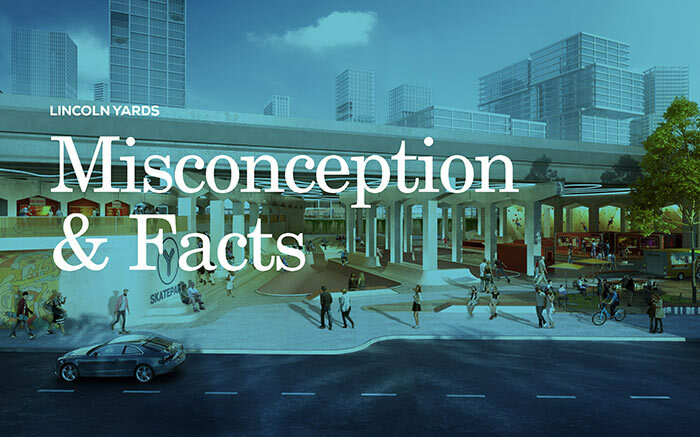 Learn more at sterlingbay.com. 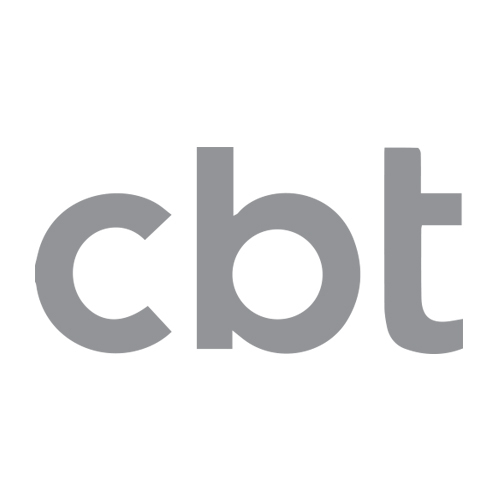 CBT is an architecture, interior and urban design firm that has served as Master Planner on national and international industrial transformations. James Corner Field Operations are landscape architects and urban designers committed to the innovative design of public spaces. KLOA, Inc. provides traffic engineering services that result in improved traffic operations, safer and more efficient access by all modes of travel, better circulation and enhanced forms of traffic control. 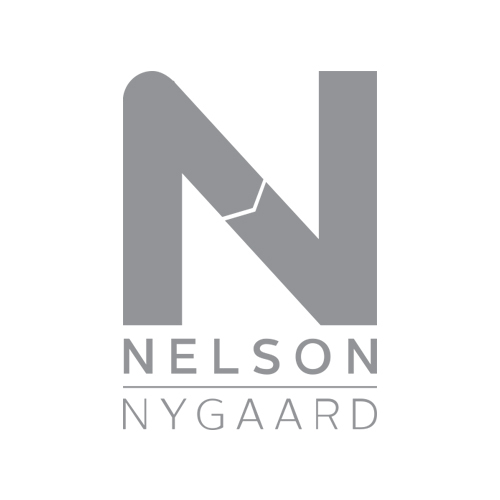 Nelson\Nygaard develops transportation systems to promote community goals of mobility, sustainability, accessibility and wellness. 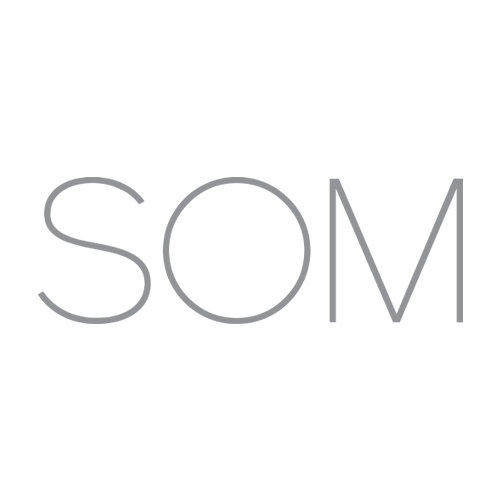 Kimley-Horn and Associates, Inc. is an American planning, engineering and design consulting firm that has developed master plans and designed the infrastructure for some of the largest and most successful mixed-use developments in the country. Have questions about project specifics? A member of the media and have questions? A business owner seeking engagement? Lincoln Yards is right for Chicago. 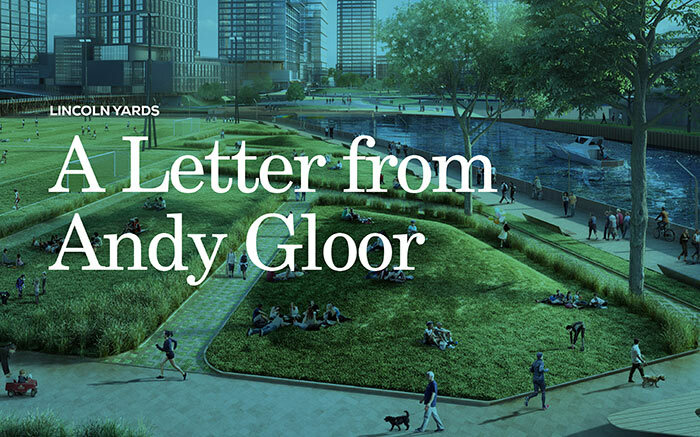 Sterling Bay’s Lincoln Yards development has been in the news a lot recently and we want to share our vision for this project with you directly. We would like to take a quick moment to tell you a little about Sterling Bay.